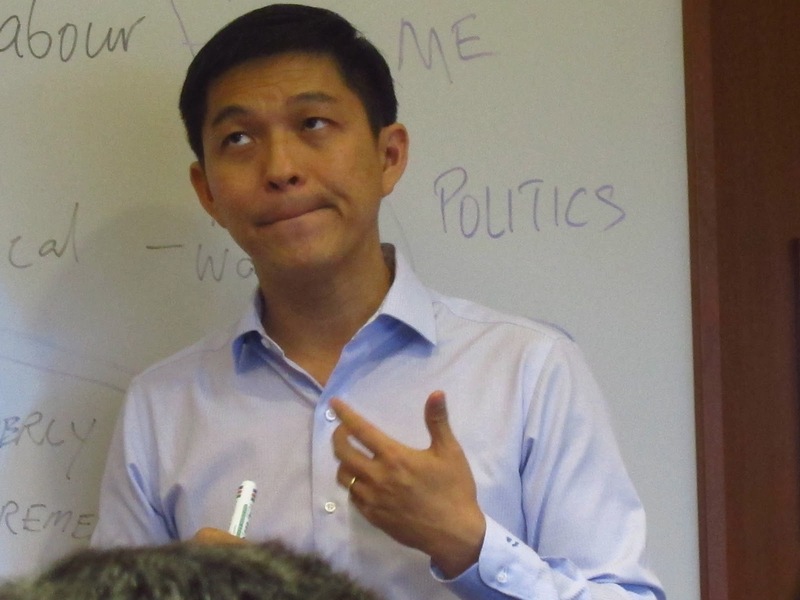 Minister Tan Chuan Jin Brings Out Statistics But Still Misses The Point. All the best in your future endeavours…. Minister Of Manpower Tan Chuan Jin posted an article on MOM blog titled: Are Foreign PMETs displacing Singaporean PMETs? Foreign PMETs are not displacing Singaporean PMETs because the unemployment rate of Singaporean PMETs remained low at 2.9% in 2014. Singaporean PMET’s income is not affected by the competition from foreign PMETs because their income has actually risen. The government has tightened their workforce policy with the foreign PMETs growth reduced from 20% in 2011 to 4% in 2014. The government will continue to support skill-upgrading to make Singaporean PMETs employable. I am sorry to say this, but to put it bluntly, he has missed the point. Somehow or rather, he had either side-stepped the issue or simply didn’t know what the real issue that Singaporean have been griping about. Or it could be that I have missed the point because I tend to believe that 76.4% of statistics are made-up. And as far as Mathematics goes, until recently, I had thought that Algebra is a striped horse from Africa. But let’s start with the easiest of rebuttals. Let’s go straight to point 3. If Singaporean PMETs are not affected by the presence of foreign PMETs, why the need to tighten the workforce policy in the first place? John works under Mary. They are both Singaporeans. John is not a PMET. Mary is. John is trained and capable to take over Mary’s job when Mary either resigns, retires or dies. But John does not get the promotion because the company decides to employ Arul from India because Arul is cheaper. John is told to upgrade his skill sets. John upgrades his skill sets. A PMET’s post opens in the company. John applies. John does not get the job because the company decides to employ De Lacruz from the Philippines because (gasp!) he is cheaper. John complains to the government. John complains some more and is joined by others like him. The government cuts the number of work permits issued to labourers and construction workers who are not PMETs. I hope he gets my drift which is, employability and career advancement. John is not a PMET. Therefore people like John are not considered in the statistics given by the Minister. And no matter how hard John upgrades himself, he will find it very difficult to be a PMET because there is a limitless supply of foreign PMETs. And now the Minister says that the growth in foreign PMETs has dropped to 4%. Do you know why it has dropped? Because the number of PMET jobs in Singapore has almost reached saturation point! How many PMET jobs are there in Singapore? Of course over the years, most of the PMET jobs have already been filled and now the take-up rate has to slow down. And you know what’s the biggest problem is? Those bureaucrats who plan government policies, especially policies on foreign talents. They are immuned to the problem, simply because they do not have to compete against foreigners. Foreigners cannot be in the civil service. So they will happily massaged the numbers and come out with policies without understanding what the real issue is whilst polishing their iron rice bowls. And since I am ranting today, allow me to rant some more. Perhaps we should open up the civil service to foreign talents, and that includes the Cabinet because sometimes I really do feel that the government needs some foreign talent injection as well.